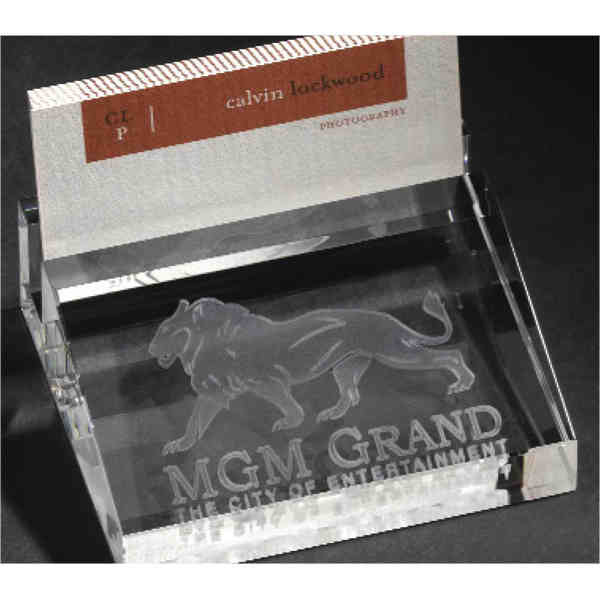 Imprint Method: 4 Color Process - This business card holder is crafted out of optical 3D crystal and designed with sophisticated cuts and bevels. Its stylish and practical presentation makes it a complement to any desk or work space. Measures 1 1/4 x 3 3/4 x 3 1/8 with a 3 x 1 3/4 imprint area. Customize this business card holder with our sub-surface laser engraving technology for a token of gratitude that all recipients will appreciate. Size: 1.25 " x 3.75 " x 3.13 "